This one has a chance. 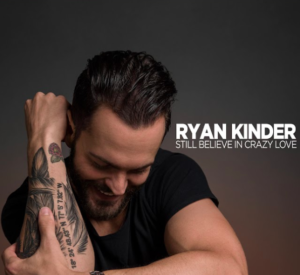 I really thought that Close by Ryan Kinder was going to be a breakout hit. Maybe it still has a chance, but it’s been about a year since it was released. I can’t remember if that song had major label backing, but it looks like Ryan is at least with Warner Brothers Nashville now. He could have been with Close, but I just can’t remember. That song was and is so catchy. I don’t think, though, that it really caught on with the mainstream audience or maybe they just didn’t have a chance to hear it. I guess it does have nearly 30 million streams on Spotify. Anyway, Ryan has a brand new song out this fall and it’s another good one. Definitely something different than Close. But the theme is still love. This one more general. A guy looking at the person he is. A little sappy. A little sentimental. The guy that’s maybe been let down by those that don’t feel the same way, but he’s not going to let that change who he is. He believes in crazy love. The kind where two people give it all they have. Where others may see them acting a little weird. Like they’re living in their own crazy world. But secretly all those onlookers are a little jealous. This one sounds like it could be a hit. There are a lot of dreamers and lovers out there looking for a way to express these feelings. I think it has a chance.